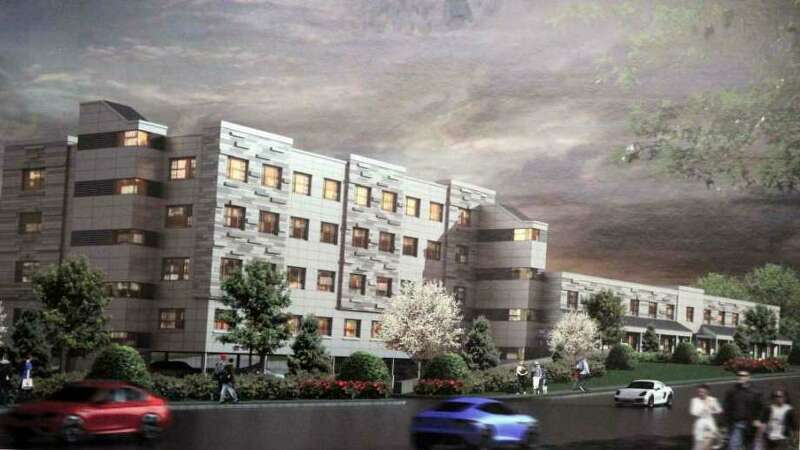 An early rendering of the apartment building for 1177 Post Road East in 2016. WESTPORT — The town’s grand list of taxable property for 2018 showed an overall 1.07 percent — or $119,841,537 — increase, mostly due to new construction and renovations. The grand list — the net assessed value of all taxable property in Westport — rose from $11,191,989,107 in 2017 to $11,311,830,644 last year, and saw increases across all three assessment categories: real estate, motor vehicles and personal property, according to a news release. Real estate assessment totals, which represent 94.22 percent of the grand list, increased 1.05 percent as a result of continued residential and commercial construction and renovation, particularly the new apartments at 1177 Post Road East, which contributed over $9,800,000 to the grand list over the past year. Motor vehicles had only a one-tenth of 1 percent increase in assessment totals while business personal property had a 2.6 percent increase, accounting for $341,640,457 and $312,442,439 of the grand list respectively. “Improvements from new tenants and investments from existing ones throughout town helped to provide this growth. Overall, this year’s increases were more conservative than in the past two years but still indicate that Westport remains a community of great interest to businesses and new residents,” Town Assessor Paul Friia said. The 1.07 percent increase the 2018 grand list is the lowest in recent years, surpassed by 1.52 percent growth in 2017, 1.36 percent in 2016, 1.5 percent in 2014 and 1.3 percent in 2013. The 8 percent grand list increase in 2015 reflected a re-evaluation and was thus an outlier year. The grand list will be used for fiscal year 2019-20 town budget calculations. The above figures are subject to change based on the outcome of the Board of Assessment Appeal hearings in March and further changes due to corrections or pending lawsuits, Friia said.